This level is not that hard as previous levels but have few black blockers and grills at bottom of the board. You should first try to break all blockers then later ingredients wont stuck on it. After as ingredients come try to play bottom of it or try to make special candies. Combine special candies to each other and wait for moon to struck. As moon will struck will give chance to make colorbombs plus some ingredients will come down automatically. 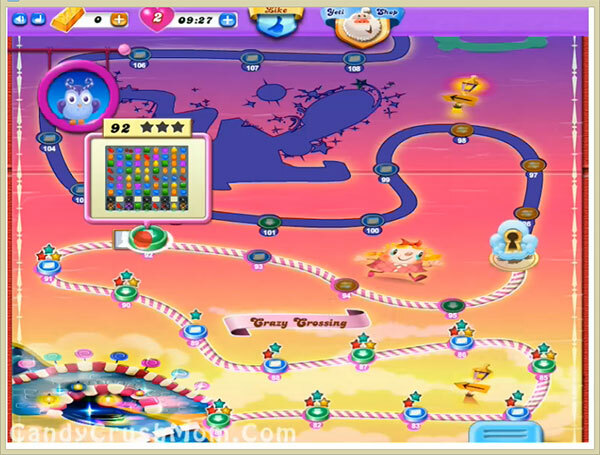 We completed this level with 70680 score within almost all moves by using special candies and got two star score at the end.